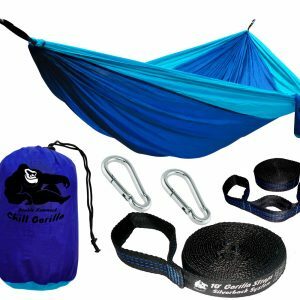 SMALL SIZE, ULTRALIGHT, & COMFY! 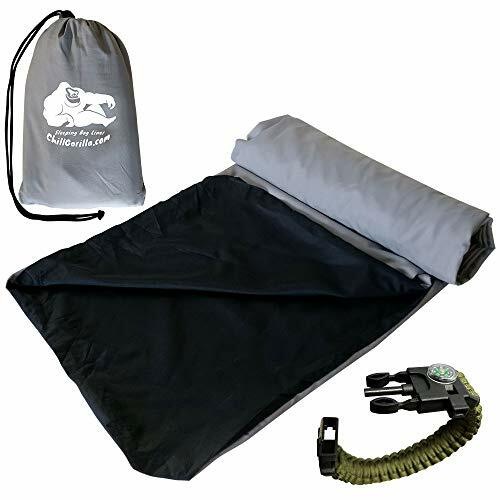 Don’t worry about sleeping on rock because is the most compact, comfortable lightweight inflating camp pillow on the market! 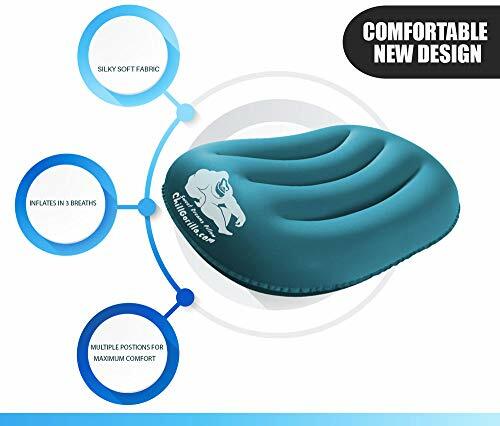 Comfortable pillow for head, back lumbar support. seat cusion, & airplanes. The 2 in 1 DOUBLE VALVE has a one way valve so no air escapes between breaths & only allows air in. 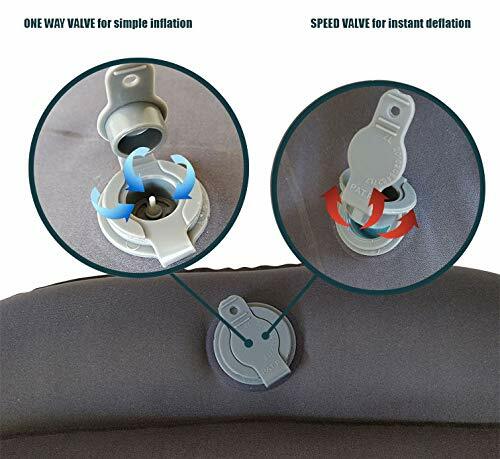 The double valve opens wide for rapid, complete deflation in seconds. 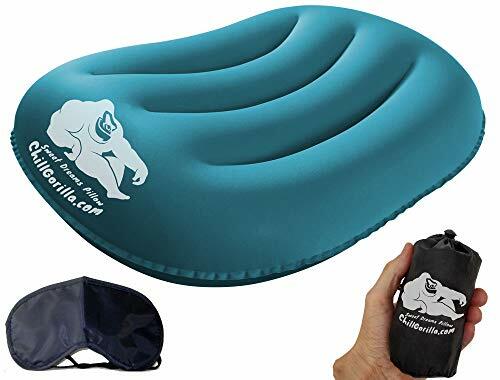 This is the only travel pillow you will ever need period! SLEEP LIKE A BABY! Wider on the outside our ergonomic design gives you multiple positions with neck support for a restful night’s sleep! 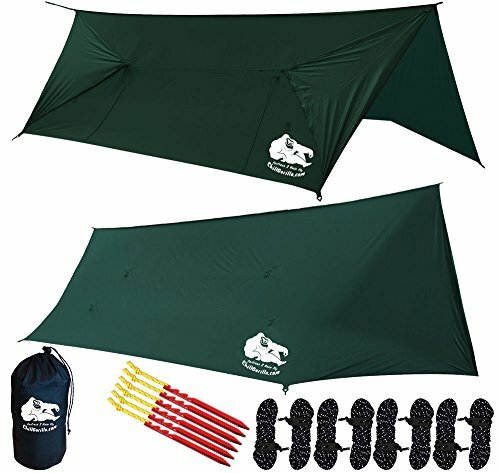 Inflates to a generous 18 x 11 x 4 inches with just 3-5 breaths & stores in a compact 6 x 2 inch stuff sack. 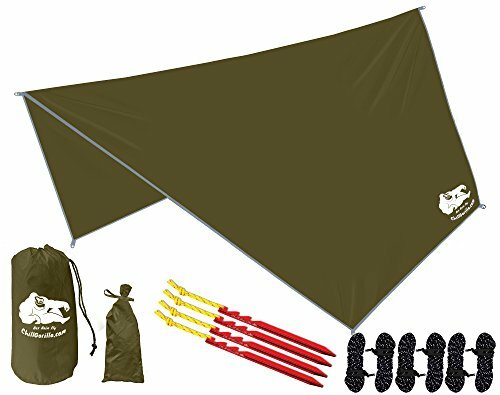 Perfect for your tent, hammock, backpack, at the beach or your own clean pillow in a hotel or hostel. It also comes with a Sleeping Mask, a sleep aid and eye relaxer, to ensure you always have a relaxing good night of sleep! BUILT GORILLA TOUGH! Constructed & designed to take a beating from highly durable elastic TPU fabric that is both COMFORTABLE and water resistent so you can rest in peace. 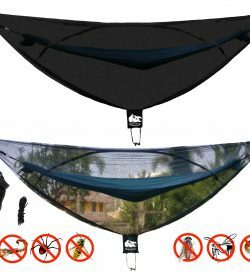 OUNCES EQUAL POUNDS & POUNDS EQUAL PAIN which is why we are designed ultralight & perfect for backpacking & motorcycles where space is limited. ARE YOU A CLEAN FREAK? Do you often wonder how clean things are when you travel? Now you can rest in peace knowing you are clean and comfortable. Plus, you get the added benefit where you can adjust firmness to your personal sleep preference. 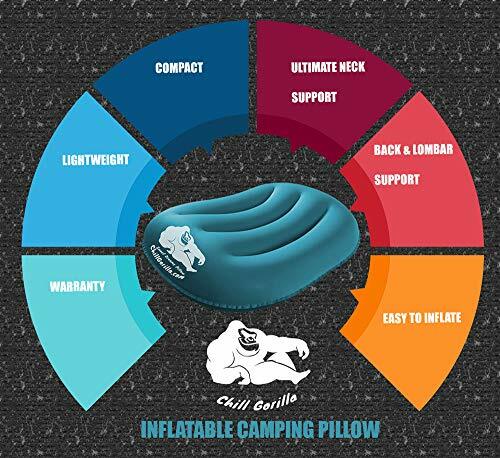 Our comfort travel blow up pillow is a luxury cushion you’ll treat like a travel essential! 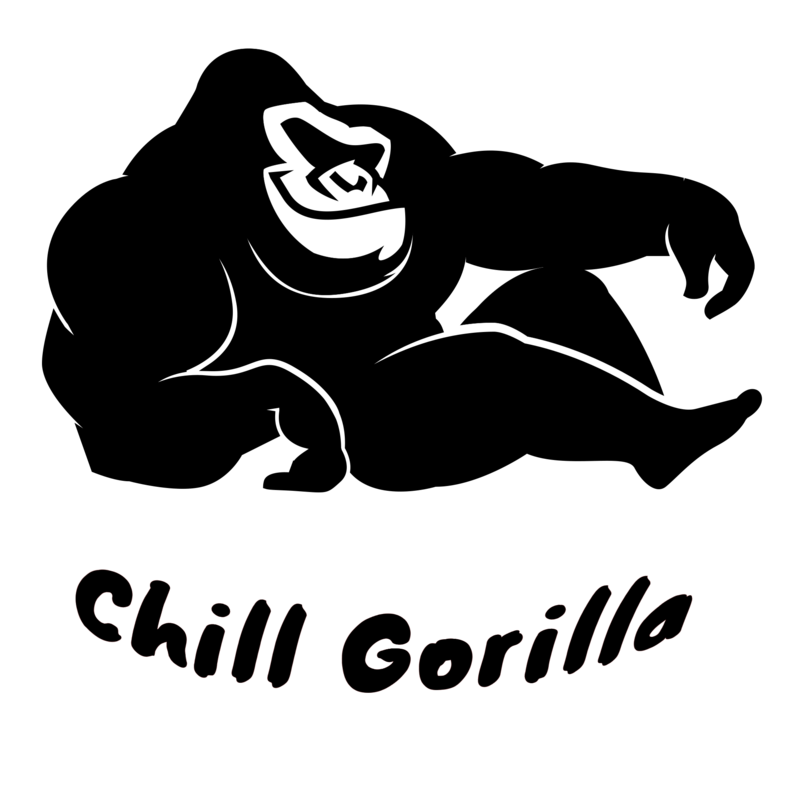 CHILL GORILLA LOVES EVERYBODY! 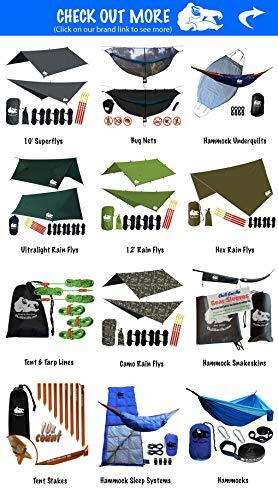 Our gear is the perfect travel gift or accessory for sleeping bags & pads, Trekology, Thermarest, Eagles Nest Outfitters (ENO), Cabeau Evolution, Coleman, Sea Summit, Teton, Wise Owl, Fox, Hennessy, Thermarest, Wellax, Chillax, Klymit, Outdoorsman, Grand Trunk, Bushcraft, Kelty, TNH, Neoair, Xlite. BEST VALUE FOR YOUR MONEY! Click the ADD TO CART Button Now!